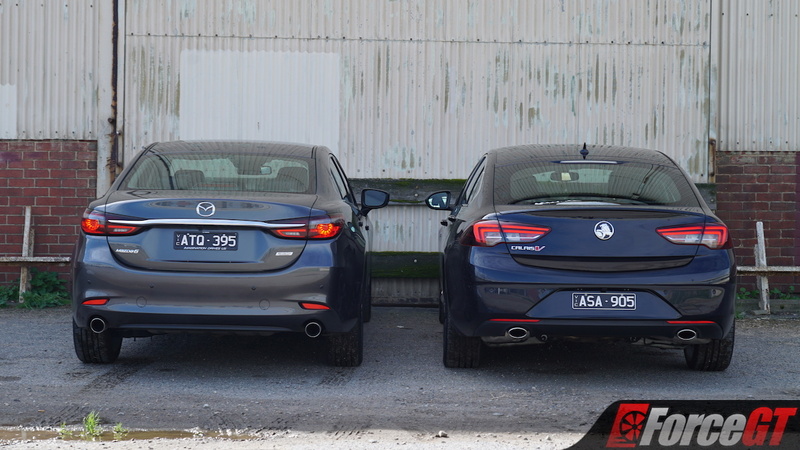 It’s a sign of how much times have changed, the fact we’re here comparing a Holden Commodore with a Mazda6, but here we are doing just that. 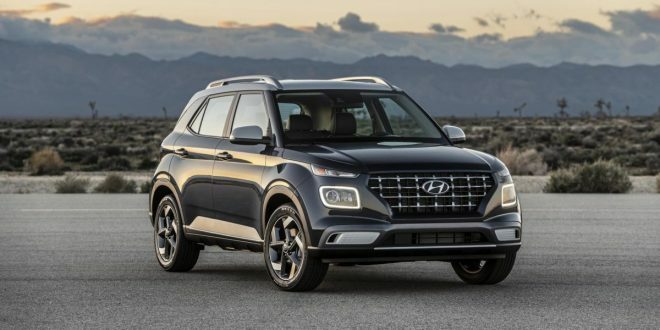 While this is a comparison that would have been inconceivable just a few years ago, the two models are now surprisingly comparable, even with their differences. But before we get into the context surrounding all this, let’s go over the basics. 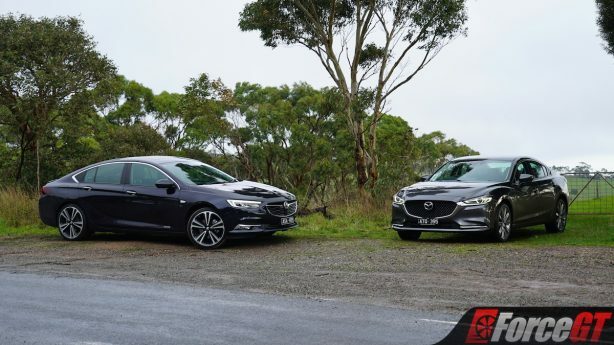 What you see here is the updated Mazda6 GT and the all-new German-made Holden Commodore Calais-V, a pair of sporty ‘sedans’ – although the British terminology of deeming them saloons would be more fitting, as we’ll touch on in a second – that offer stylish and classy looks, plenty of standard kit, and the power to back it all up. 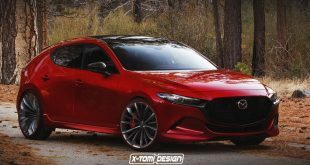 When the Mazda6 nameplate first appeared, it was on the back of a liftback – a car with sedan-like proportions but the tailgate was hitched at the top of the rear glass. 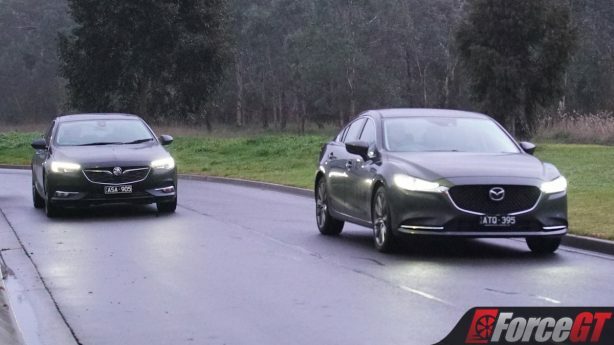 Now though, the 6 has reverted to being a traditional sedan like the 626 that came before it, and, in our opinion, it’s been the best-looking car in the class for some time now, with the recent refresh only classing it up even more. 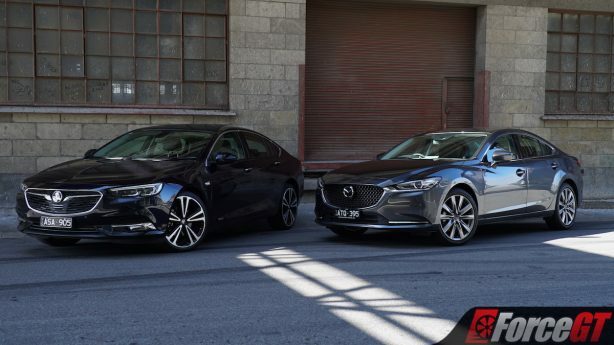 The 2018 update for the Mazda6 has seen the introduction of a turbocharged petrol engine – which has been pinched from the seven-seat CX-9 – for the first time since the MPS of old. With that, it now finally has the power to back up those handsome looks. The Commodore, on the other hand, is a radical departure for the nameplate. As I’m sure all of you reading this will know, the Holden Commodore has been the quintessential Aussie car of the last few decades. 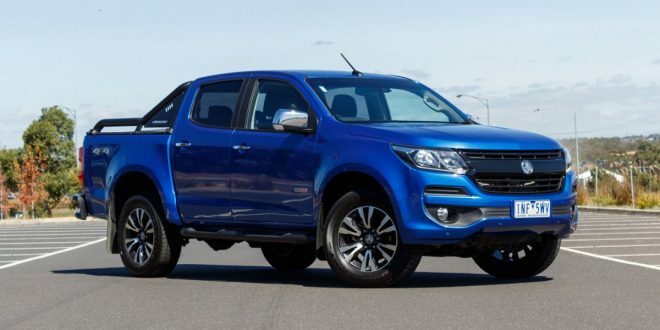 However, with the closure of their Elizabeth plant in South Australia, Holden were left searching for a replacement from parent company General Motors’ worldwide model portfolio. That’s why what you actually see here is, behind the lion badge, an Opel Insignia. 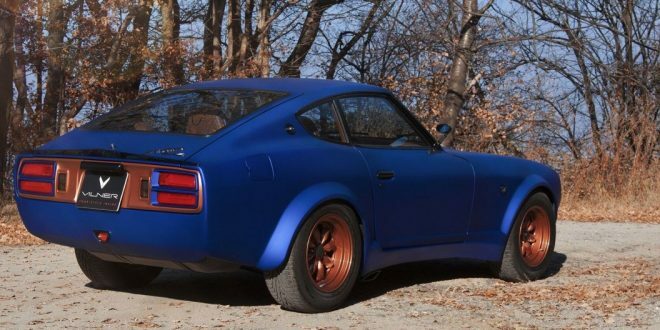 That means it’s now a liftback for the first time – not a traditional sedan, unlike the Mazda – and, in base specification, front-wheel drive. 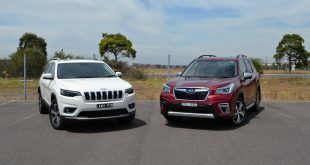 However, the one we have on test sports a naturally aspirated V6 – an Aussie exclusive for the GM world car – and all-wheel drive. But which one of these is better worth your hard-earned coin if you’re after a powerful but luxurious mid-sized executive car? That’s what we’re here to get to the bottom of. As far as exterior styling goes, there’s no doubt that these two are a pair of rather attractive cars, but one of them has the slight edge in the styling department for me, and that’s the Mazda6. 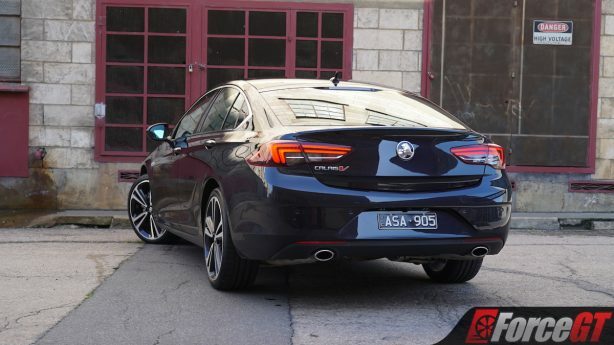 Certainly, the new Commodore is still an attractive car – I particularly like the look of its side profile and rear end, thanks to that sweeping roofline that adds a certain elegance to it. However, the Commodore’s chrome moustache and protruding fascia doesn’t quite blend with the rest of the design in my eyes. 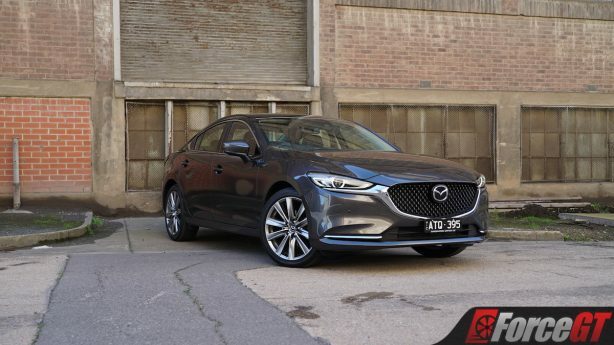 The Mazda, on the other hand, looks particularly classy and elegant – the sort of thing you could park in front of the best restaurant in town and no one would think it only cost you under fifty large, let alone a hair over $44K for the GT on test here. 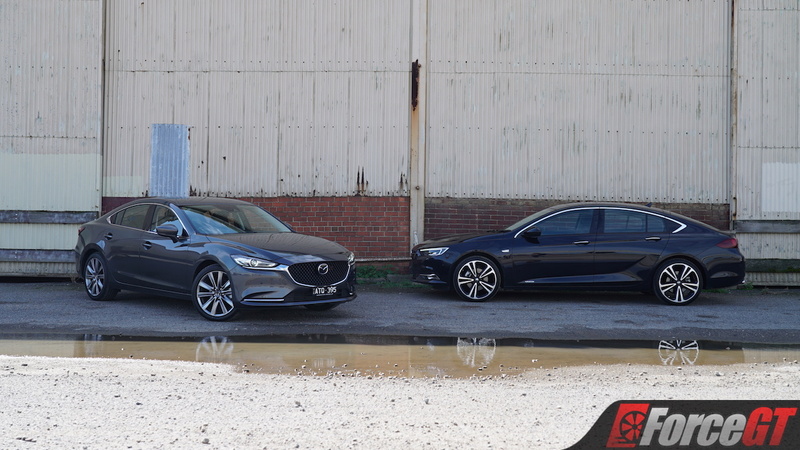 With the larger 19-inch wheels and lighter Machine Grey Metallic paintwork of our test car, it lifts the Mazda’s looks significantly compared to the lesser Touring model we also tested recently, with these tweaks really bringing out the best in its gorgeous design. 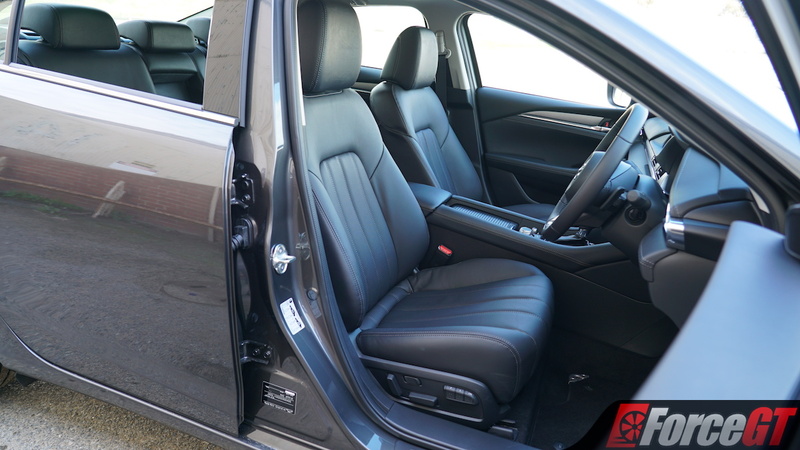 But if anything makes this the Mazda’s round, it’s the remarkably plush interior. If you were to blindfold someone, sit them in one of these, and ask them how much they think it was worth, I guarantee they’d overestimate it significantly. 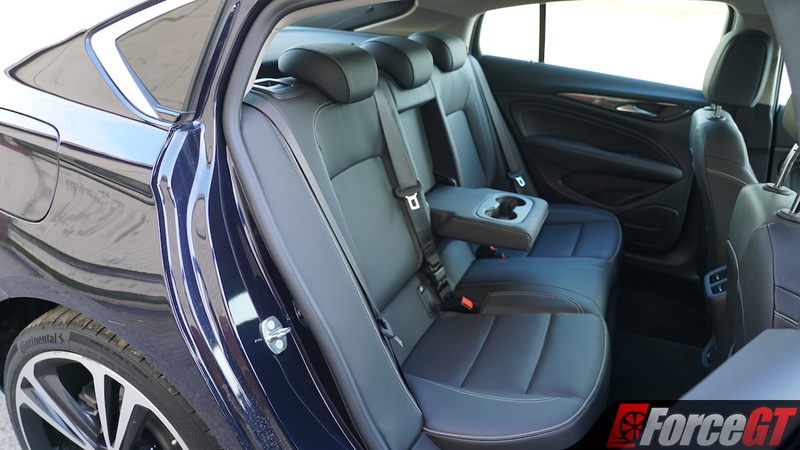 The air of quality in the Mazda6’s interior is truly unbeatable at this price point – the Maztex faux leather feels plush, the cushioning of everything is spongy and soft, and even the harshest of plastics still feel smooth and have some give to them. 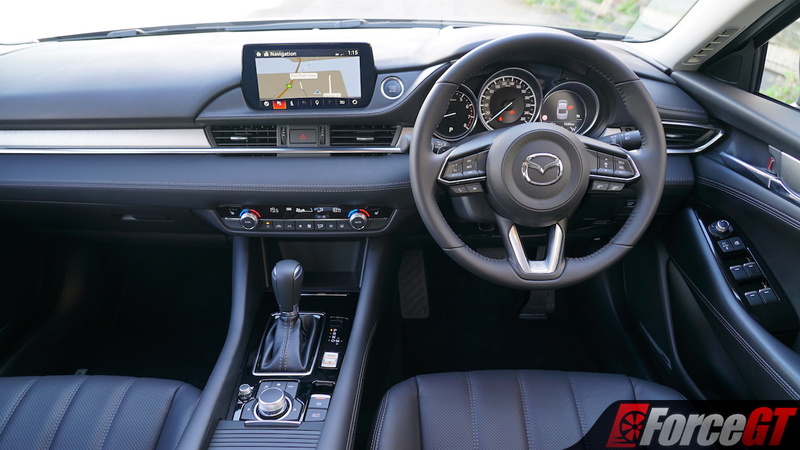 The only complaint we have with the Mazda’s interior is the poor centre armrest placement that is too far back to effectively use due to the placement of the massive cupholders. Seriously, that’s it. The Commodore, on the other hand, lacks the polish and plushness of the Mazda. 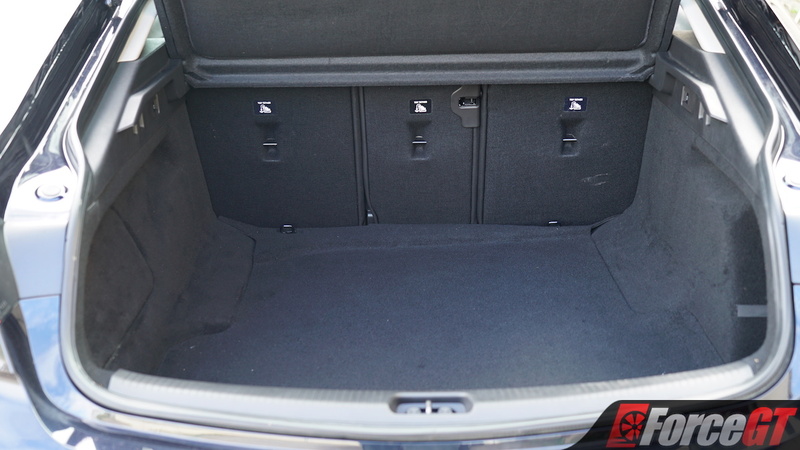 While it might have the nicer front seats –with adjustable bolsters and a massaging function for the driver – and high quality materials on all the key contact points, such as the steering wheel and switchgear, the abundance of coarse and scratchy black plastic throughout the rest of the cabin really lets it down. 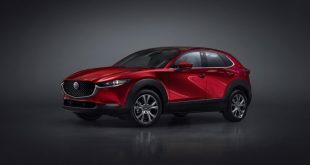 Rather comprehensively, then, you can call this round the Mazda’s. 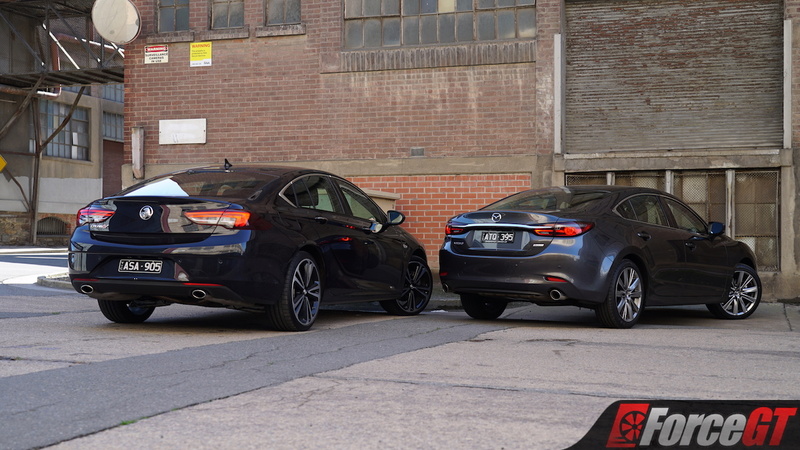 The Holden claws a point back when it comes to standard equipment – an area it leads whether compared to the Mazda6 GT on test, or the more comparable Atenza model. The Mazda certainly isn’t lacking – our GT offers heated seats all around, dual-zone climate control, satellite navigation on an eight-inch screen, an eleven-speaker Bose sound system and digital radio, radar cruise control, and a head-up display. 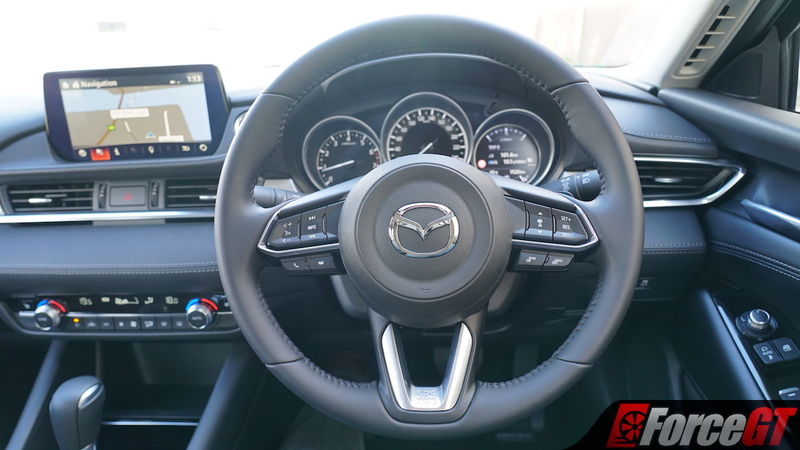 Making the $3,500 step up to the Atenza only adds a sunroof, ventilated front seats, and a TFT screen in the gauge cluster, meaning the step-down to the GT doesn’t lose you all that much. 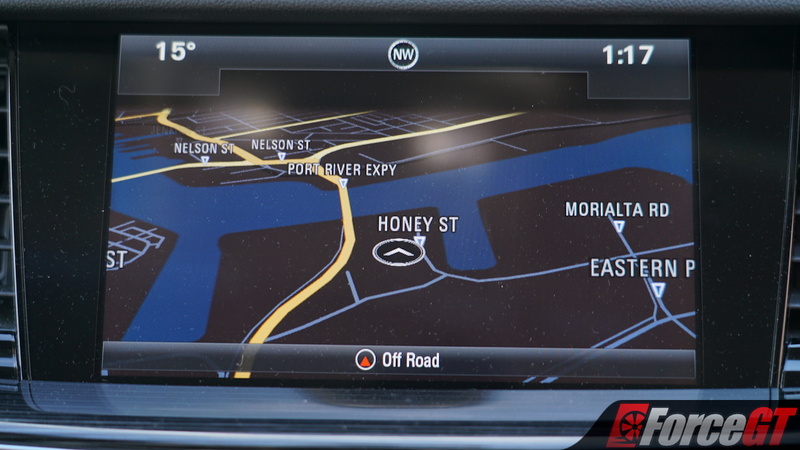 In addition to offering all of that, the Holden bests even the Atenza by offering Apple CarPlay and Android Auto through its MyLink infotainment system, power folding rear seats, and the massaging function and adjustable bolsters for the driver’s seat as previously mentioned. Even with Mazda’s plan to add smartphone mirroring to its MZD Connect infotainment system later this year, the Calais-V still takes the cake in this round. Under the skin, it seems this pair couldn’t be any more different if they tried. The Mazda6 GT sports a 2.5-litre petrol-powered inline-four that’s turbocharged to help it put out 170kW and a diesel-like 420Nm torque. 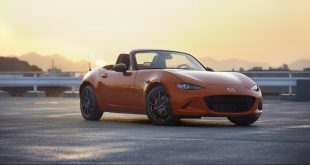 Backed by a six-speed automatic with particularly evenly-spaced ratios, all that power is channeled to the front wheels alone. The Calais-V, on the other hand, sticks to the old adage of there being no replacement for displacement. 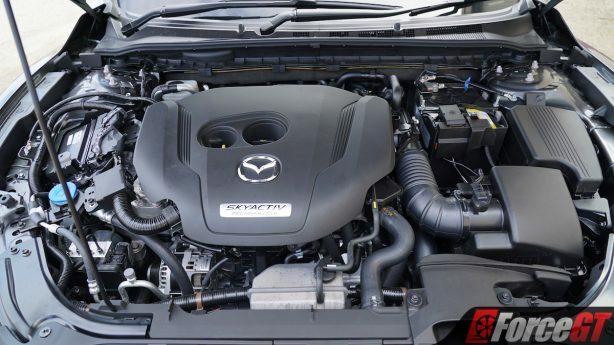 With a 3.6-litre naturally aspirated V6 under the bonnet, it has the advantage on power with 235kW on tap, although its 381Nm torque figure is bested by the Mazda. 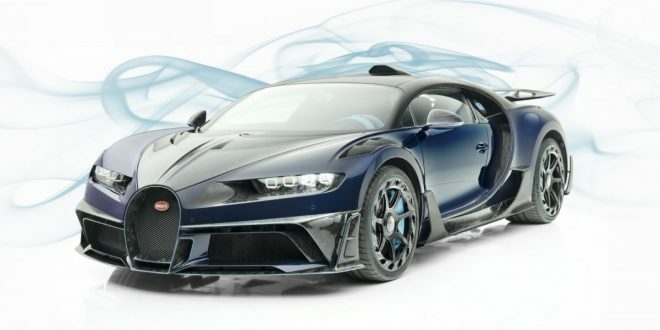 Power is sent through a more complex nine-speed automatic transmission to all four wheels, with the all-wheel drive system utilising a Twinster torque-vectoring rear differential that uses clutch packs in lieu of a traditional gear set. 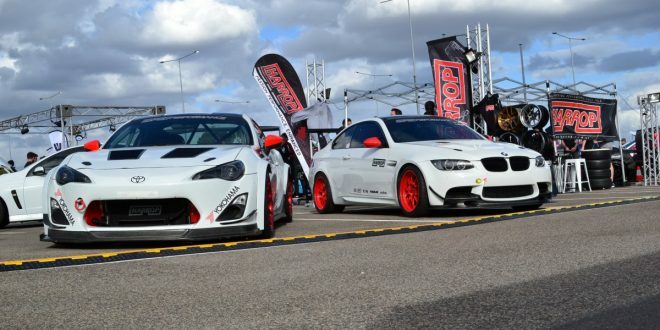 As there’s not one similarity between their drivetrains, we were shocked by how equally matched the two are in terms of real-world performance. 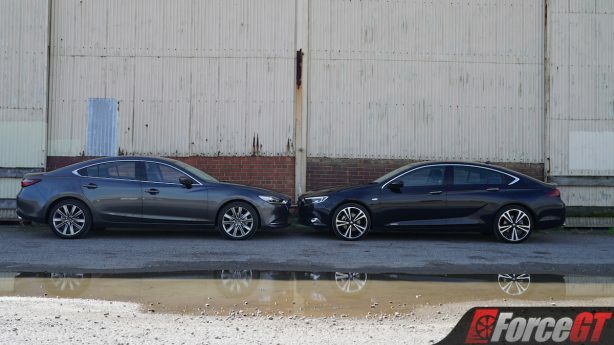 Pit the two of them against each other in a straight line, and there’s absolutely nothing between them until you start dipping your toes into lose-your-license territory when the Commodore utilises its power advantage to begin pulling ahead. Throw them at some corners and it’s the same story there, too. Whichever was the lead car in our testing convoy was closely tailed by – and unable to shake – the other whenever we were giving them both ten tenths. But while you’ll get to wherever you’re going at the same and admittedly very brisk rate, the sensation from behind the wheel of the two differs as much as you may have expected. 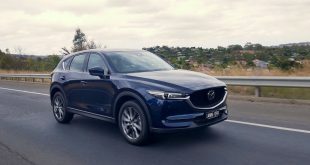 The front-wheel drive Mazda is definitely the better of the two on the open road and around town, owing mainly to its higher level of refinement. 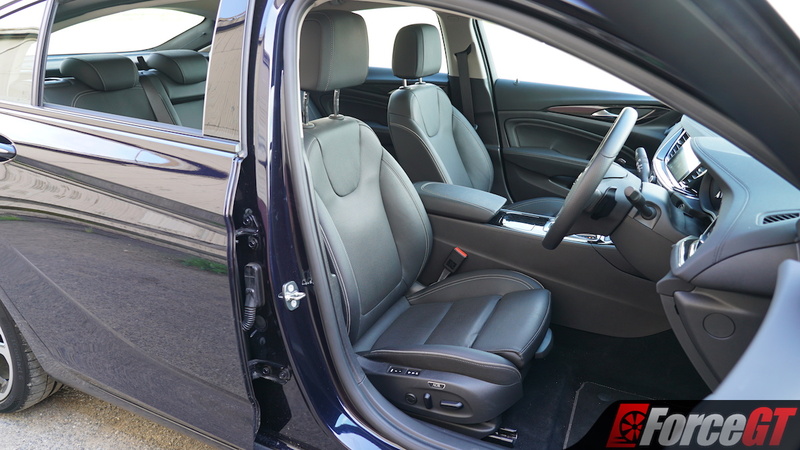 Not only is the cabin plush, but it’s serenely quiet, with road and wind noise far more dulled than it is in the Holden. 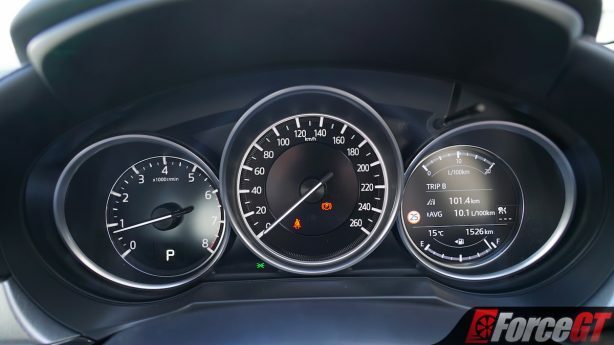 In city traffic, the accessible peak torque that arrives at just 2,000rpm makes it far more drivable at slow speeds, while when you gun it in a straight line, it really pulls like a freight train. 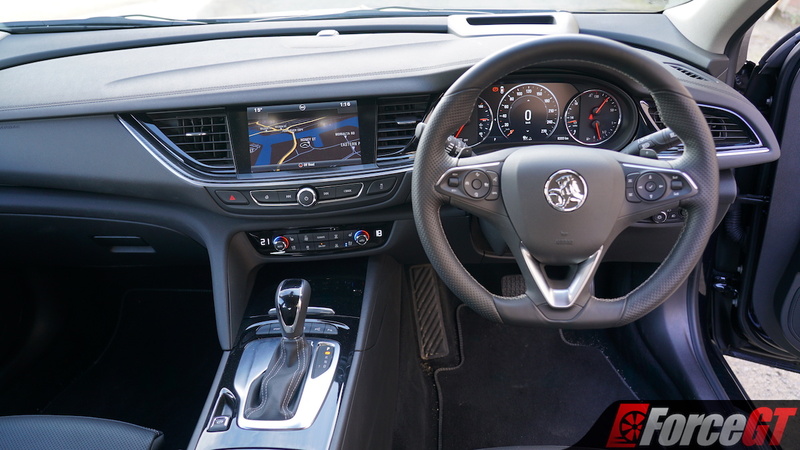 After a hint of anticipation-building turbo lag, the wave of mid-range torque you can then ride really does get things going, with the six-speed’s taller gears allowing you to stay right in the engine’s happy spot. While it is a nice thing to drive on a twisty road, it can sometimes come unstuck, particularly on tighter, twistier roads, rather than those with longer sweeping bends. 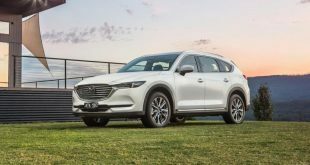 While Mazda has done a good job at eliminating the majority of it, there is still some torque steer, but the main problem to contend with is understeer. 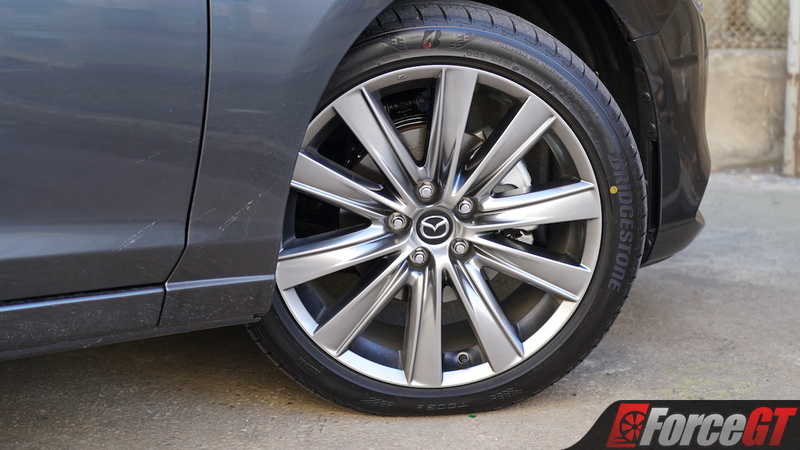 While some of it is inherent from being front-wheel drive with a longer wheelbase, we did feel the fatter sidewalls of the standard-fit Bridgestone rubber deforming a bit when cornering hard, and we were able to find the limits of adhesion in the Mazda faster than we could in the Commodore. That’s why it’s on tight twisty roads where the Commodore has the upper hand. While the full force of its power is rarely accessible during normal driving – you won’t feel the full 235kW until you spin it up to 6,800rpm – the high-revving and responsive V6 is just that bit better to drive hard. The all-wheel drive system is genius too, as you can really feel the rear diff shuffling the power around to whichever wheel has the best traction. 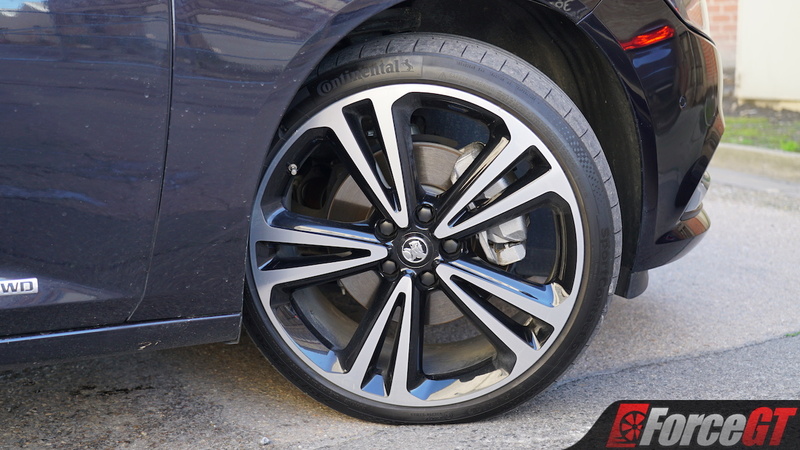 Combine that with the firmer Continental rubber its 20-inch wheels are clad in and the speed it can carry through the bends is most impressive. If one thing lets it down though, it’s the transmission. 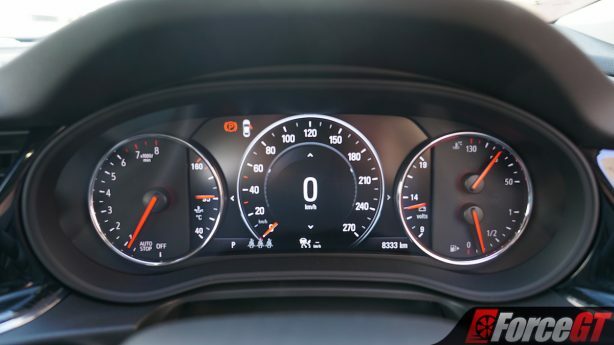 Nine gears is simply one too many, and it shows – second gear is at a ratio of 3.31, while third gear barely drops it down to just 3.01, and the result is the second-to-third upshift feeling clumsy when you’re using the paddles. Third is as low as you’d want to go then if you are wanting to command the auto box yourself, although truth be told, it’s far better left to its own devices. 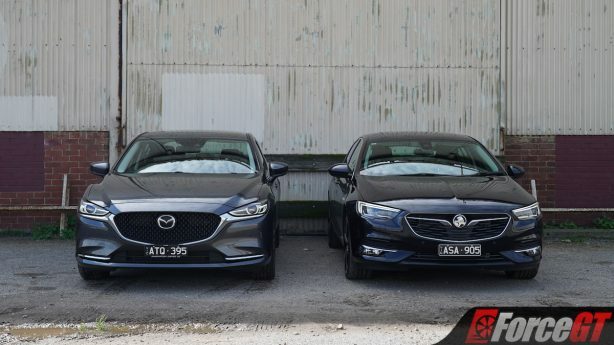 Both cars definitely have distinctly different personalities from behind the wheel, which makes it a hard call, especially as both are very good at the styles of driving they were designed for. 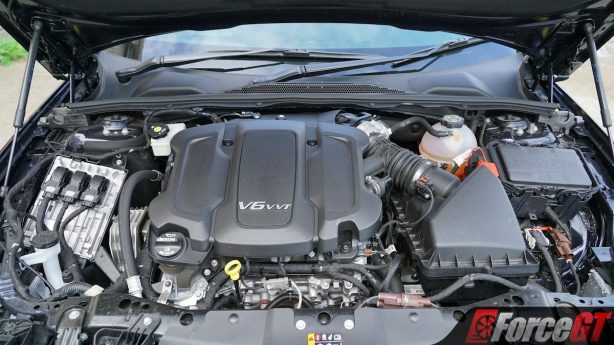 If we look at it from which is a technically more competent car, then, I think the tight-as-a-drum Calais-V would have to be the winner here, if by only a hair. Running costs are yet another close one for this pair, with little to split the difference. 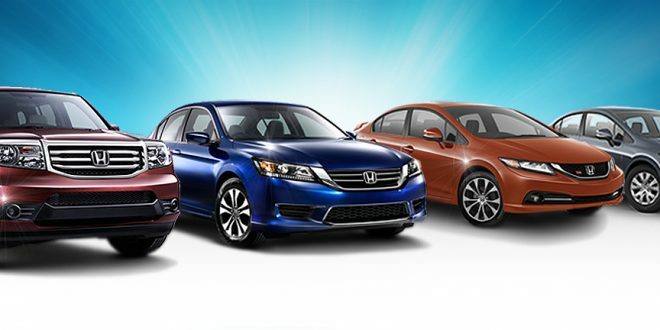 In terms of servicing costs, just $79 splits the difference between the two over their warranty periods – both are currently warrantied for a competitive five years with no mileage cap. For the Holden, the first five services will cost you $259, $299, $259, $359, and $359 again respectively, amounting to a total cost of $1,539. Do note as well that the Holden has a 12 month/12,000km service interval, compared to the 12 month/10,000km intervals of the Mazda. 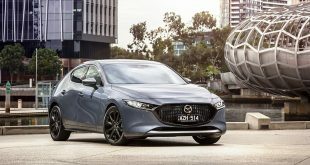 Speaking of the Mazda, that $79 difference isn’t in its favour – the first five services for it alternate between $312 and $341 with each visit, amounting to $1,618 over the warranty period. 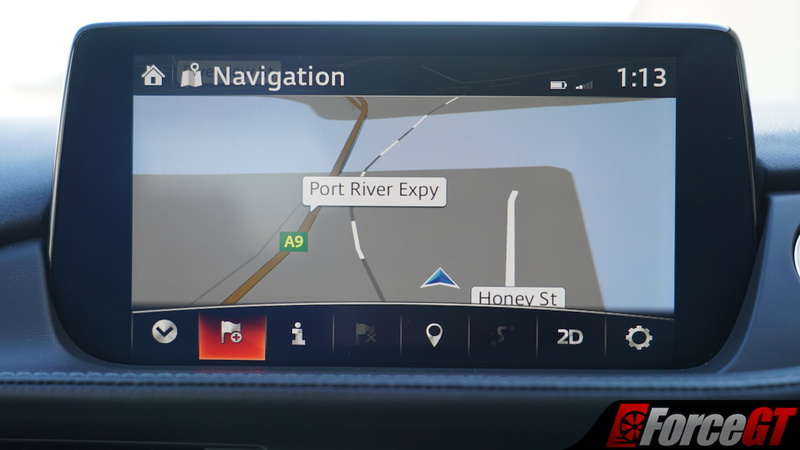 As for fuel economy, the Mazda has the edge there, using precisely 10.3L/100km over the course of our 190km test route. By comparison, the thirstier Holden used 11.7L/100km, meaning it cost around $4.50 more just to drive it that day alone based on current (at the time of publication) petrol pricing of 149.9 cents per litre. 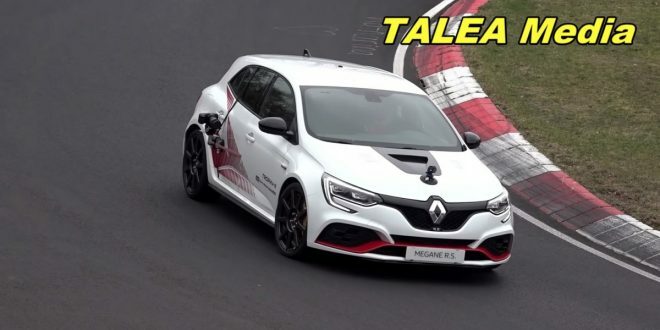 Both cars will run on cheapo 91 octane fuel, and do also keep in mind that we were really giving it to both cars on the day, so you’ll more than likely see better numbers than that if you tone down your driving a bit more than we did. It’s hard to split this one, but over the course of the five year warranty period, the money you’ll save on fuel with the Mazda would be enough to account for the mere $79 extra it’ll cost you to service after just a couple of months, even when you account for the slightly shorter service intervals. 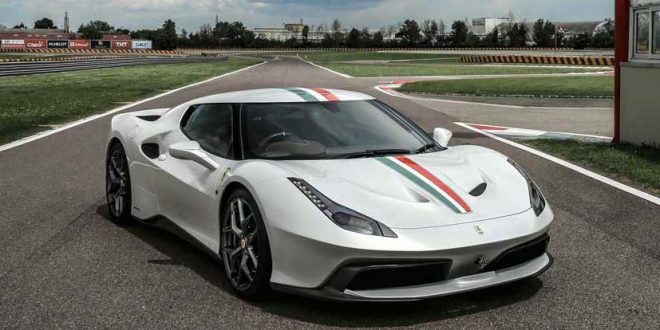 With it two apiece as it stands, the outright value-for-money propositions of these two cars is what’s really needed to settle the score in this blow-for-blow battle. 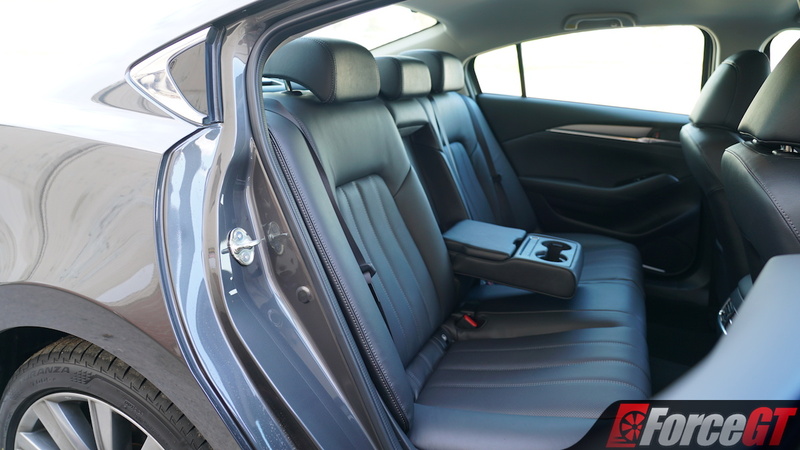 While there’s no doubting the Commodore is the better-equipped car, particularly when you consider the unusual features like the massaging driver’s seat, but you’re certainly paying for the premium. 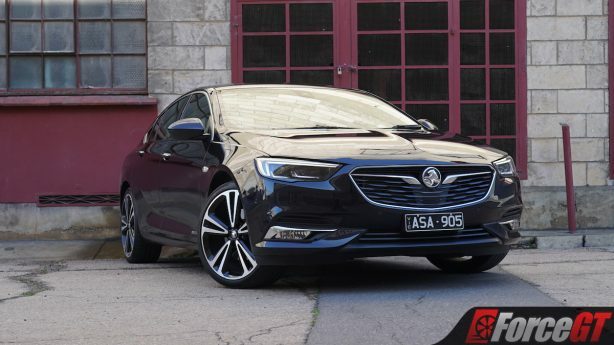 With a list price of $51,990 for the Calais-V spec model, which would arguably be the pick of the Commodore liftback range, it’s certainly no bargain bin fleet special, this thing. 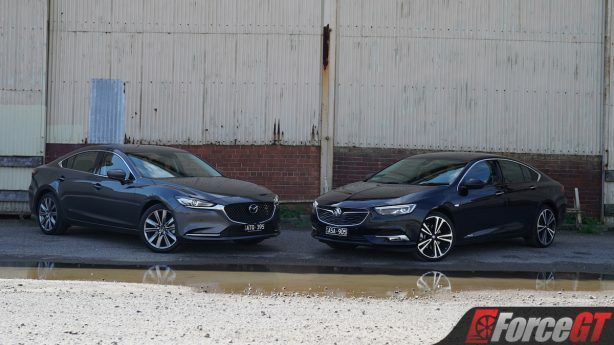 The more comparable Mazda6 Atenza, on the other hand – which is one step up from the GT model on test – comes in at $47,490. 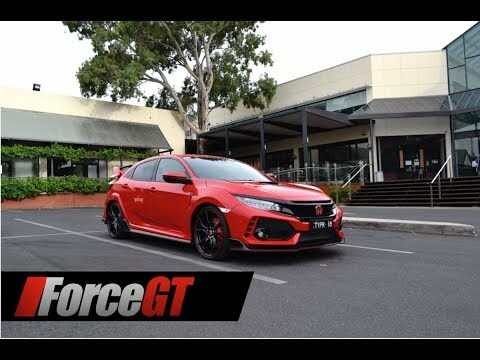 Considering you’re missing out on very little of what the Holden bests it with, it clearly looks like the better buy for that sort of money. 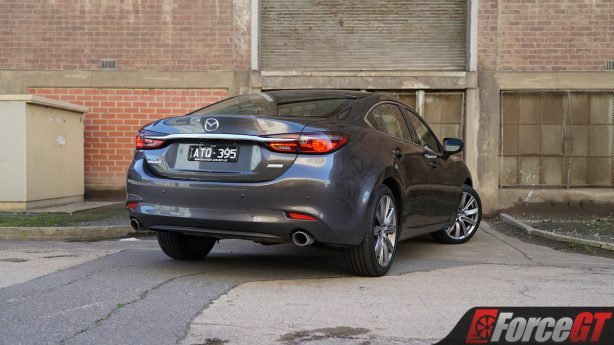 But then, the GT we have on test – which comes in at just $43,990 before options – looks to be better value still. 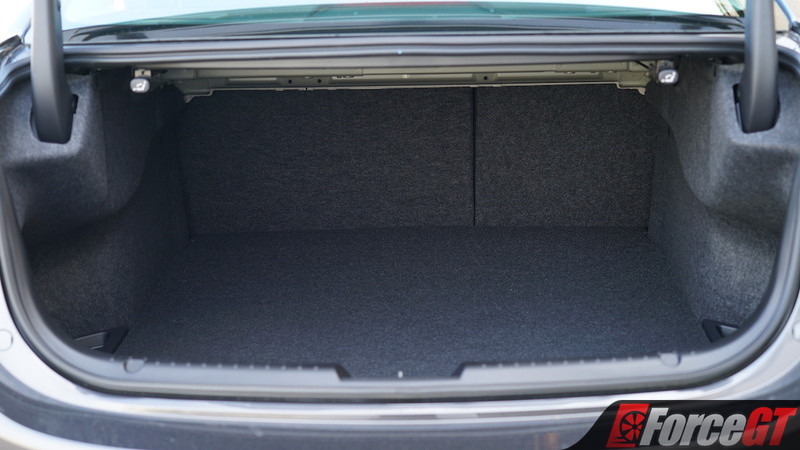 If you can live without a sunroof, you honestly aren’t missing much you’ll rue the lack of, and you’re still getting the full-fat turbocharged donk under the bonnet with its 420Nm of glorious torque for a considerable discount. 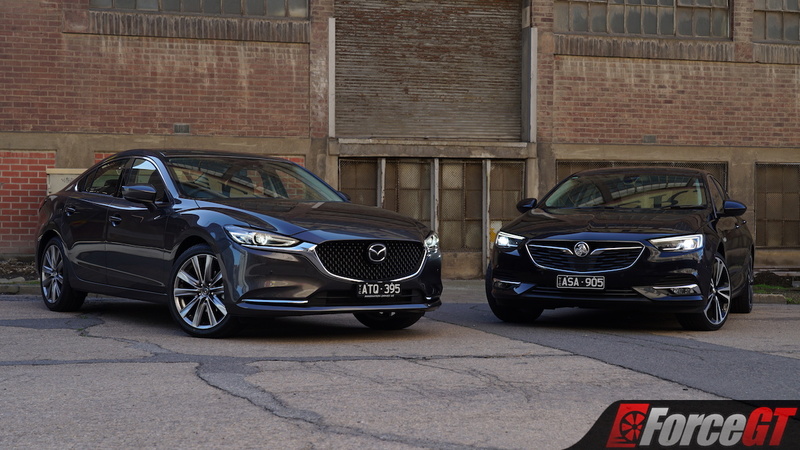 With both the updated Mazda6 and the new ZB Commodore being very good cars that do a lot very well, it was hard to choose a winner between these two. The new Opel Insignia-based Commodore, while incredibly controversial, is a good car and there’s no doubting that for a second. It’s well equipped, great to drive with vigour, and a really solid buy. If you can get over its non-Aussie origins and the departure for the Commodore name, it’s absolutely worth taking a look at. But for us, the now-turbocharged Mazda6, whether in GT or Atenza spec, bests the Commodore Calais-V by just that much to ensure it takes the win. 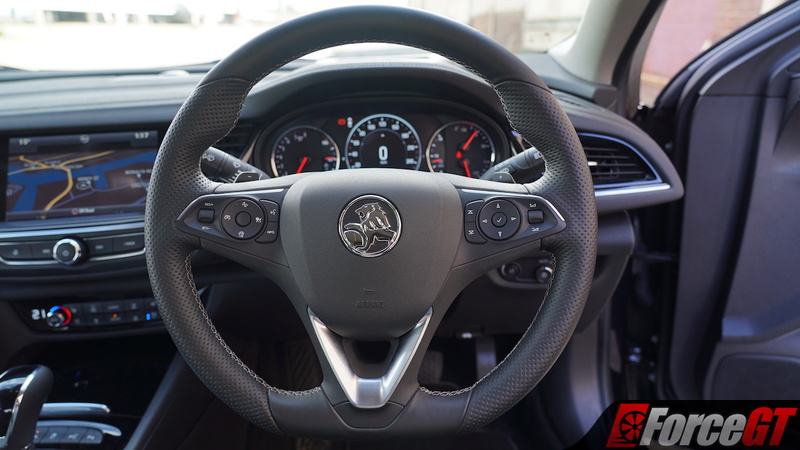 While not as sharp or precise, and not quite as lavishly equipped, the refinement it offers in terms of the ride and the interior appointments, the V6-matching real-world performance of its more economical turbo four, and the better value for money it offers makes it the better buy in our eyes.